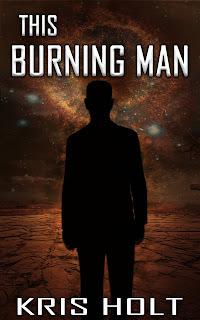 This Burning Man: This Burning Man is complete! This Burning Man is complete! If you are a new reader, hello and welcome. You've arrived at a slightly awkward moment - in this case, five minutes after the story has actually finished. I would recommend clicking here, which will take you to the start of this fun, madcap romp through future Arizona. As it stands, the first 20% of the book can now be read online here, and the remainder of the text will shortly be available from Amazon for a mere 99 cents/pence at the links below. If you live in any other territory, please go to your local Amazon page and search for 'Kris Holt'. First of all, to my amazing readers who have stayed with the project from inception and given all manner of advice and guidance - CJ, Erin, Kate, Lolli, Wee Red Bird, to name just the ones I know of. Thanks also to everyone at the Norwich Sci-Fi and Fantasy Book Club, who have been a constant source of encouragement and have listened to me bore on the subject of my work more times than I care to remember. Please know that it's much appreciated! The e-book cover was produced by the thoroughly talented and delightful Elizabeth Jeannel. 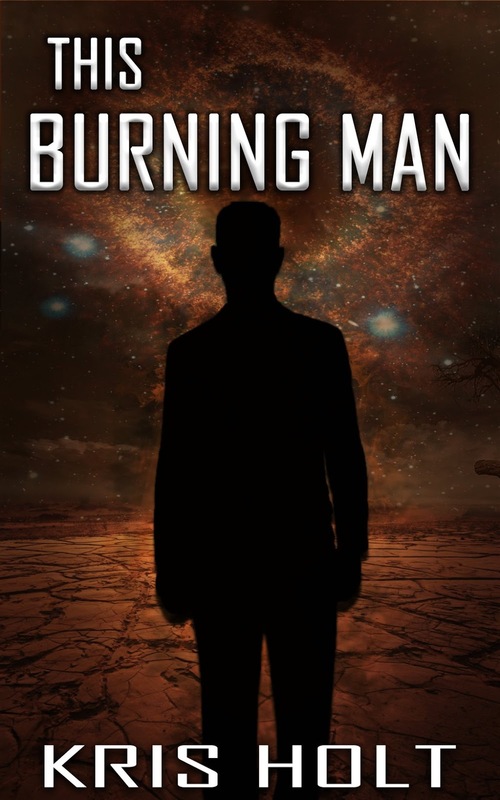 At this stage, I have no plans for a paperback version of 'This Burning Man'. In terms of new projects in the pipeline, I recommend my other online project, the Caribou Chronicles, an urban fantasy tale which is co-written with the accomplished Canadian horror writer, Caitlin Marceau. I also have a plan for a second novel in the TBM world, as yet not fully planned, but with at least some of the characters you've met from the first. Provisionally entitled, 'The Fox and the Mox', expect news on development in 2018!